Buying art for your home is the ideal way to enhance and compliment your existing decor, and provide a focal point for your room. 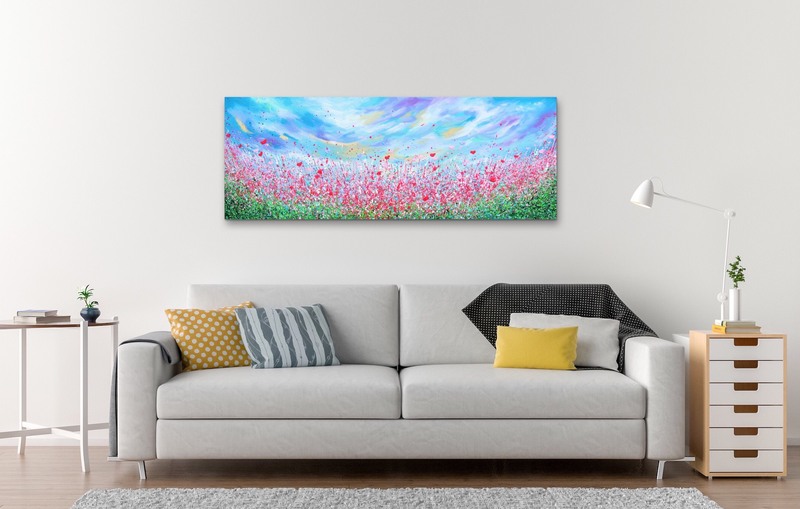 Rippingham Art has a wide range of art across a variety of categories to enhance the interior of your home, as well as garden sculptures which make an ideal outdoor feature, with different sizes to suit your space and budget. 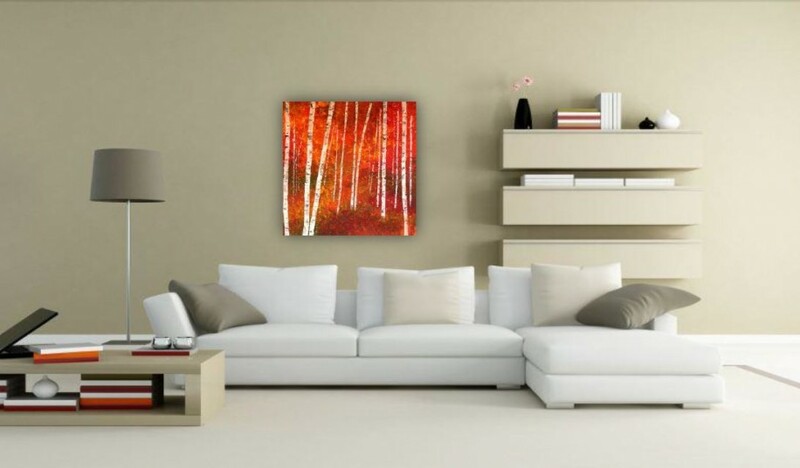 Well chosen, original contemporary art is a great way to compliment your existing decor. At a time when many people are buying mass-produced prints, original artwork stands as a beacon of originality and it needn’t be expensive. We have a large range of artwork so that you an find a piece that costs as much or as little as you wish to pay. Moreover, nobody else will have a piece like it, and most of our artists are happy to undertake commissions, so your piece can be truly original. We work hard to maintain high standards across all of the work that we exhibit, and as an online art gallery, we can exhibit a much larger range of work than a physical gallery whilst still giving peace of mind by offering a 14 day money back guarantee if you are not entirely happy with your choice. Many of our artists also use ‘in situ’ photographs which allow you to get a feel for how the work might look in a home environment before you buy art online. We know that original paintings are an excellent way to enliven your rooms, but art at home allows for a variety of other options. We have a range of original sculpture, ceramic art, glass art and wooden pieces in both traditional and contemporary styles. When thinking about buying art for your home, it is worth thinking about these options, as they can provide a unique focal point in a room, as well as great talking points too. When looking for original contemporary art, existing room colours, mood, and the space that you have available are the most important factors to consider. Is the room contemporary or does it have a more traditional feel? Would a large, statement artwork be appropriate, or a series of smaller pieces? When choosing sculpture it is useful to consider which material you think would work best in your home, for example, hand carved stone, bronze, or wood? You may also wish to consider the lighting in the room. A properly lit piece can dramatically alter the appearance of the artwork. If you are looking to purchase more than one piece, it can be worth thinking about whether you would prefer two distinct pieces, or whether you would like to start a collection of works by one particular artist, as we have found this to be a popular option. Again, the willingness of our artists to undertake commissions can be enormously helpful in creating the perfect piece that is just right for your home. Another benefit of original art is that it can be a great investment. As well as enhancing your decor, art is likely to increase in value over time, and at a point when many investments are producing poor returns, purchasing original art provides an opportunity for growth. We have recently improved our search facility (read our search tips here) so that you can search by style, subject, colour and price, using our sliding price bar, helping you to find the right piece for your room. By having many different categories of art to choose from we aim to make buying art as simple as possible, and we are always happy to help and make recommendations for you if you wish to get in touch with us. Sign up to our emails to receive 10% off your next order!